The Atlanta Swim Academy Family is excited to be named a top work place for the second year in a row! 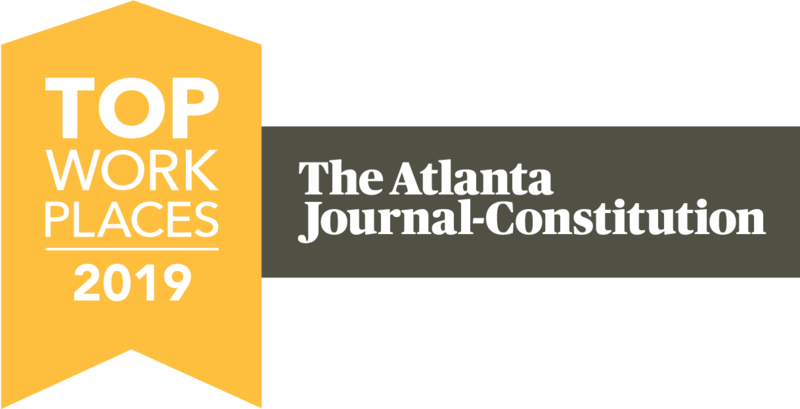 We are one of the top 75 small companies in the Atlanta metro area to be named a Top Workplaces 2019 by The Atlanta Journal-Constitution. The list is based solely on employee feedback gathered through a third-party survey. The anonymous survey measures several aspects of workplace culture, including alignment, execution, and connection, just to name a few. Thank you for helping make ASA an award winning community! 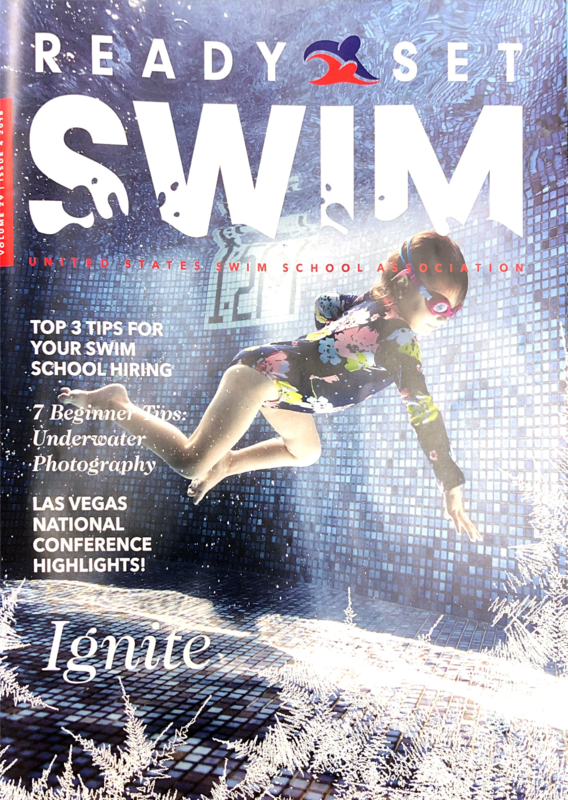 United States Swim School Association featured us in their December 2018 magazine. The picture of ASA is in the table of contents displaying our beautiful underwater Christmas tree party that was held earlier in the month. November 12, 2018 we were seen during Good Morning Atlanta! We collected over 800 pounds of candy for the Soldiers' Angels (Official) Treats for Troops program! This great program collects excess Halloween candy and ships it to deployed service members and hands it out to veterans in VA Hospitals across the country! View the video on our Youtube channel! 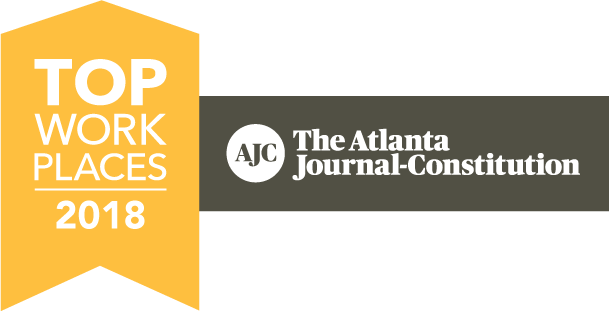 The Atlanta Journal Constitution announced Atlanta Swim Academy as a top work place for small buisnesses in the metro Atlanta area for 2018! Check out our article in the April 2017 East Cobber Magazine! 2016 Underwater tree lighting and canned food drive raised 1,800 cans, beating last year's total! Join the kids in singing Rudolph the Red Nosed Reindeer in the video above. Our 2015 Canned Food Drive for Marietta's MUST Ministries was a success during this year's Underwater Tree Party! With your help we raised 1,500 cans for Marietta’s MUST Ministries. ASA matched all canned donations, and also received $58 in cash donations. Over 200 families brought canned goods for the charity. May's issue of East Cobber Magazine featured an article about our Swim FIT program and the great past year's season for both Swim FIT and Swim Team! East Cobb Patch and East Cobber celebrated our successful Canned Food Drive and Underwater Tree Lighting with us! 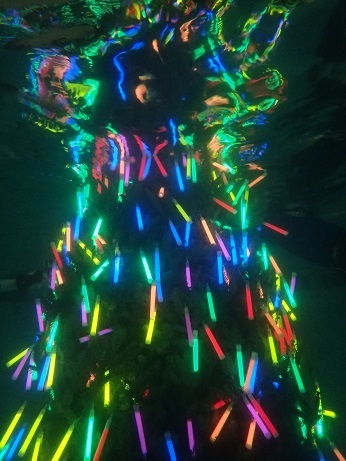 Dec. 6th 2014, 1,500 canned goods were donated to MUST Ministries while Santa Claus and his Polar Bear helped swimmers decorate a live submerged pine tree with beautiful glow sticks. Count down with us in the video, and join us next year!! 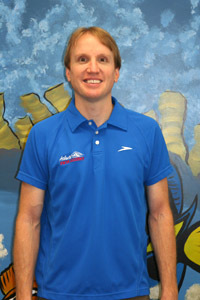 CBS46's Paul Ossmann and ASA's Swim Director Kaye discussed the importance of swimming year round. Freddie Mac Foundation's Wednesday's Child, Christian, joined us to show off his natural swimming skills! The 2014 Guinness World Record for the World’s Largest Swimming Lesson™ is 36,564 participants from 22 countries around the globe, and we're part of it! 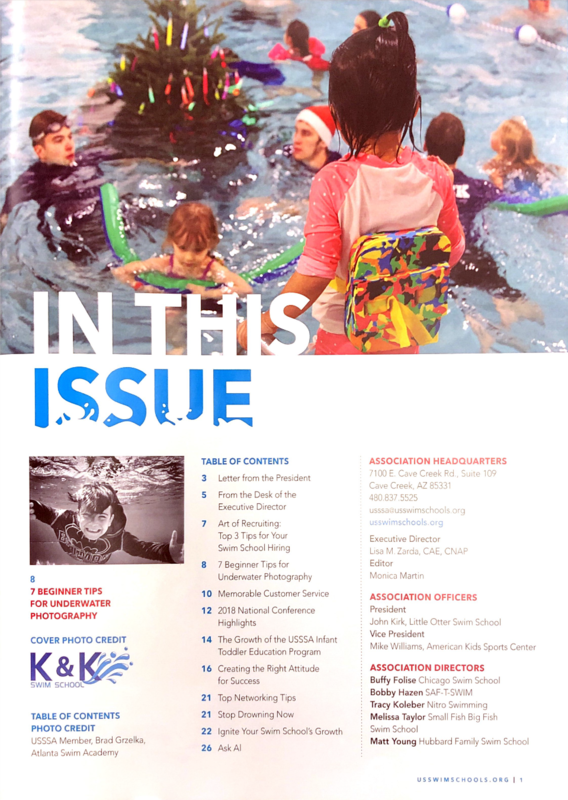 East Cobber Magazine covers our involvement before and after the 6/20/14 11am event that happened simultaneously worldwide, increasing water safety knowledge to prevent drownings. You can read more at WLSL's official page. 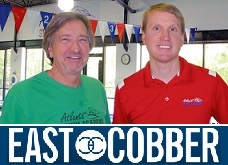 Hear from ASA's Coach Bob and VP Brad in this issue of East Cobber Magazine (pg 16) as they talk about the exciting addition of ASA's SwimFIT Club and their continuous dedication to the community's needs. Our Swim-A-Thon on 5/3/14 raised $10,878 for charity! 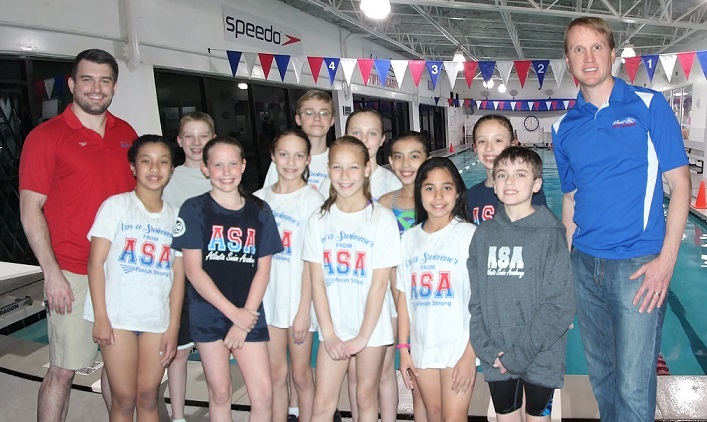 Our USA Swimming Sanctioned Swim-A-Thon benefited local charity Sunshine on a Ranney Day, providing room makeovers for children living with long-term disabilities or illness. Makeover recipient, Tashawn, was able to join us to swim! East Cobber published an article on Claire Donahue's recent visit to meet our swim team! Claire met with each level of swim team, speaking about her path to, and experience in, the Olympics. She also did in-water demonstrations for the kids, visit our youtube channel to see highlights! 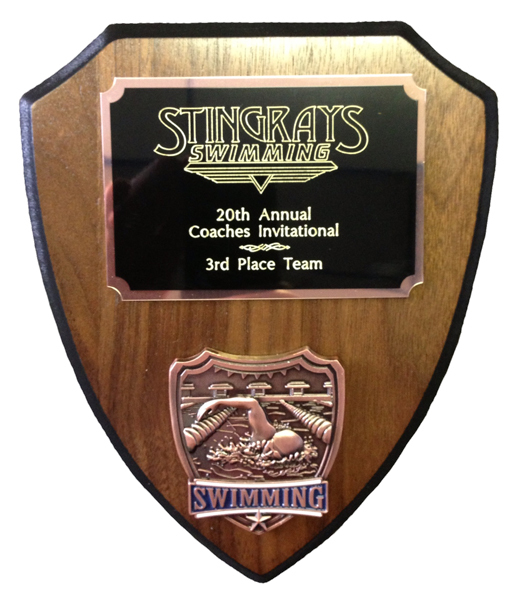 At the 2013 Rays "Coaches Invite" meet, ASA finished 3rd overall! 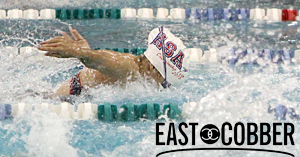 ASA was represented by 95 swimmers who together earned 34 New ASA Records, 27 New State Qualifying Times, 4 New Sectional Qualifying Times & 6 New IMX completions. Conquer your fear of water with Fox 5 Atlanta! We are happy to hear Nickolus was adopted! Hooray! The Aquatic Industry wants to know how ASA does it!